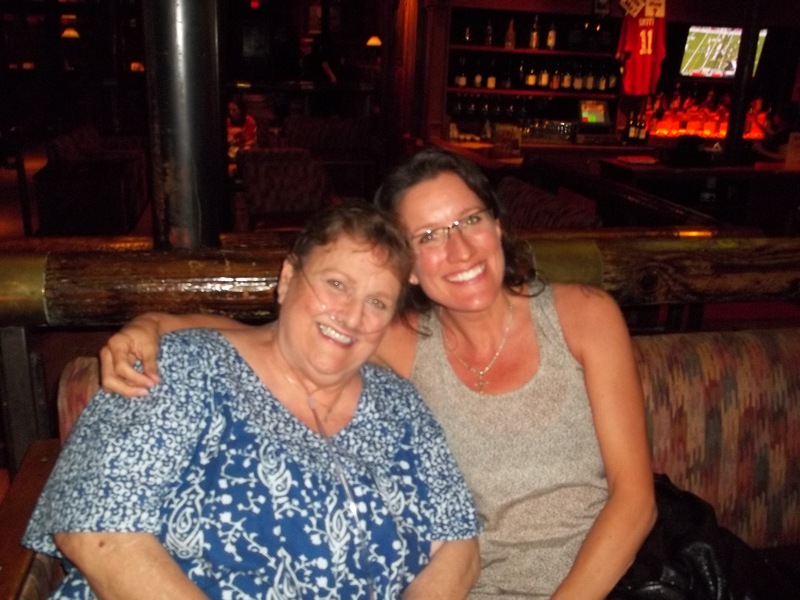 For all my amazing readers, I am still around and writing but my computer is in the middle of a major surgery…. Somehow she contracted a virus that caused all kinds of trouble. Poor thing, she was very sick and needed a complete over haul. Recovery is going well and we will be back online next week sometime. Look at ALL those peels! In addition, a study done at the University of Iowa showed that a natural substance in apple peels (ursolic acid) was found to reduce obesity in mice. They said further studies were needed to see if apple peels would reduce obesity in humans, but I would be willing to give them a chance to lose a few pounds – how about you? Ok, if I were at home in Vegas I would just use the summer sun to dry my peels, but I’m way up in Canada right now without my dehydrator. I still decided to make it work by setting my oven on its lowest setting (170F) and heating the peels until they were dry (it took about 3 hours). Not the best photo – Sorry! But I wanted to show you how much they will shrink. 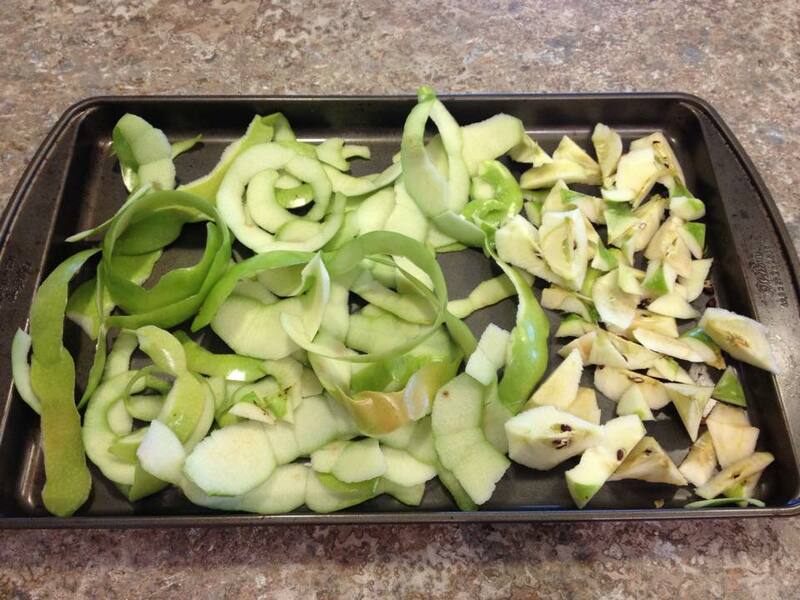 And even though they shrink significantly, 8 apples still yielded over 3 cups dried apple peels. 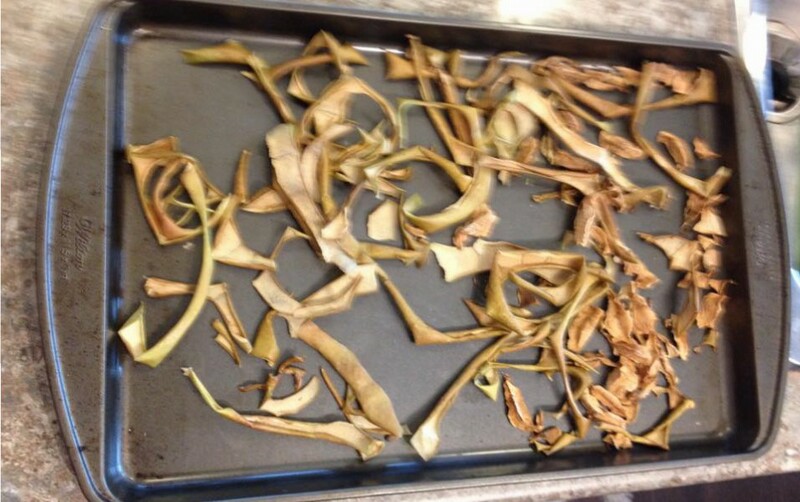 There was probably closer to 4 cups of dried peels, but they were so sweet and crispy that I ate some of them right off the tray! 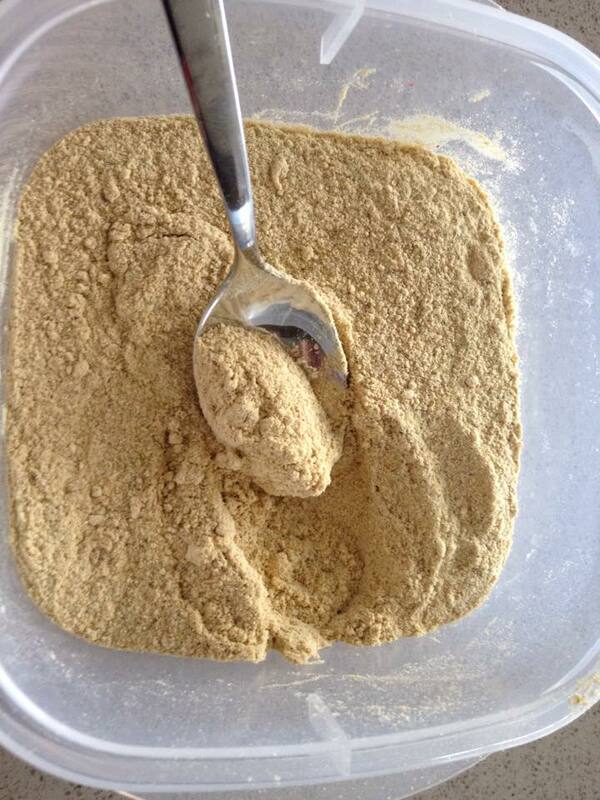 I added the dried peels to my Vitamix blender and crushed them until they turned into a powder (about 2 minutes). It yielded 3/4 cup powder. That doesn’t seem like a lot, but notice the recipes below. Each one calls for a tablespoon or less. 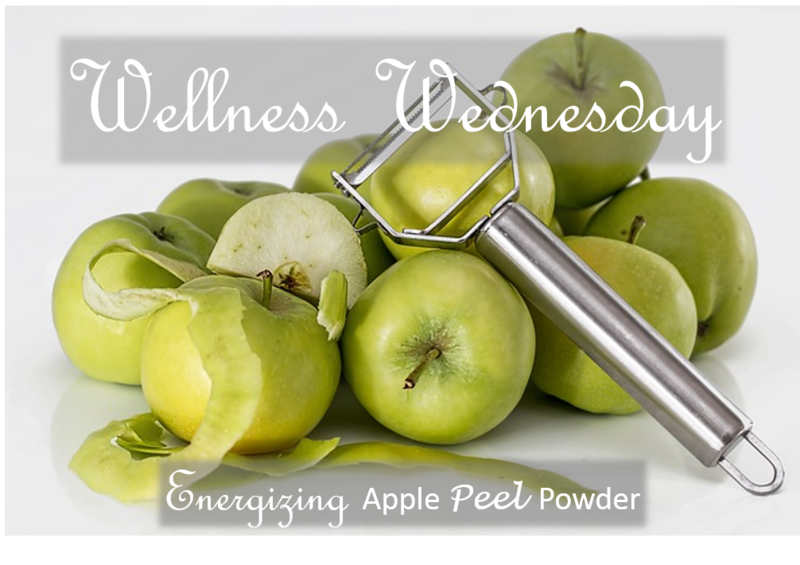 This energizing apple peel powder goes a long way! Check out ALL the ways you can use this amazing creation! Apple Pie Smoothie: One banana, 1/2 cup almond milk, 1/2 cup ice, 1 tablespoon raw honey, 1 tablespoon apple peel powder, 1 teaspoon cinnamon. Blend in high powered blender for 1 minute. Apple Walnut Oatmeal: One serving of your favorite oatmeal (mine is steal cut oats cooked with nut milk), 2 tablespoons chopped walnuts, 1 tablespoon raw honey, 1 teaspoon apple peel powder. Apple Granola Yogurt: One serving of your favorite yogurt (mine is vanilla Greek), 2 tablespoons of your favorite granola (I like a hemp and nut granola), 1 teaspoon dried raisins, 1 teaspoon apple peel powder. Mix all the ingredients and let sit in the refrigerator for 10 minutes before eating. Apple & Sweet Pepper Marinade: One cup of your favorite smoky barbeque sauce, 1/2 cup (each) chopped red pepper and red onion sautéed in olive oil until soft, 1 tablespoon apple peel powder, 1 tablespoon brown sugar, dash cayenne pepper. Blend all the ingredients and marinate/baste your favorite piece of meat. Apple Vanilla Frozen Yogurt Pops: Blend a 500gram container of vanilla yogurt with a dash of cinnamon and 1 tablespoon of apple peel powder. Add to your frozen pop mold and freeze. Apple Granola: 2 cups (oats, uncooked quinoa, popped amaranth or other grain of your choice), 1 cup of your favorite nuts, 3/4 cup raisins, 1 tablespoon apple peel powder, 2 teaspoons cinnamon, 1/2 teaspoon nutmeg, 1/2 teaspoon ground clove, 1/8 teaspoon salt, 1/3 cup melted coconut oil, 1 teaspoon vanilla, 1/4 cup maple syrup, 1/4 cup brown sugar. 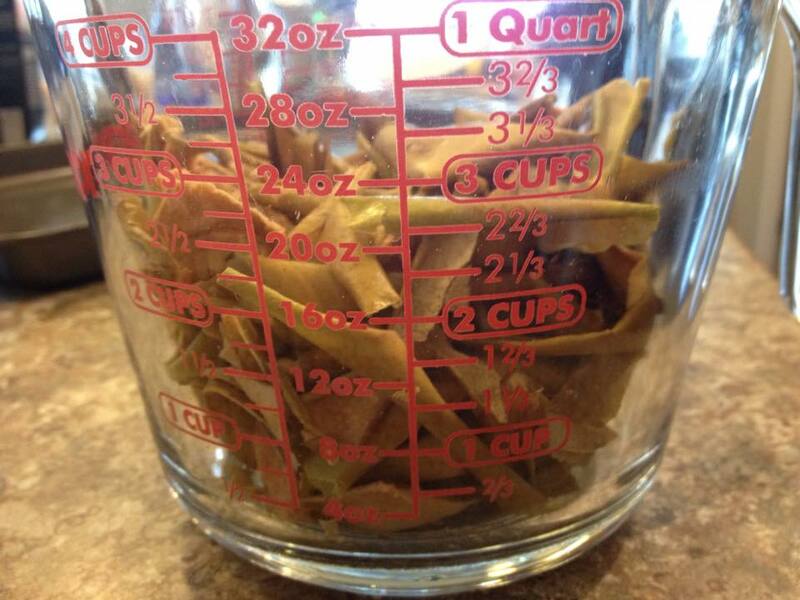 Blend dry ingredients in one bowl and wet ingredients in another. Blend both bowls together. Add mixture to a cookie sheet covered with parchment paper. Bake at 325F for 10 minutes. Basically, apple peel powder can be added to any smoothie, hot or cold cereal, granola recipe, ice cream recipe, marinade or even dry meat rub!! I’ve also added it to a Harvest Cheddar Soup and Butternut Squash Soup. Apple Peel Powder is packed full of nutrients, saves on food waste, taste incredibly sweet with a hint of tart, and a little goes a long way. Please comment below and share how you’ve been creative in the kitchen and saved food from being tossed. Ecclesiastes 1:14 I have seen all the works that are under the sun, and behold, all is vanity, a chasing of the wind. My car was a brand new Honda Accord Coupe and it was the first new car I had ever owned. I had struggled for years to pay off bad debts and increase my credit score. I guess you could say my car was the trophy for all my efforts. After my car was a few months old, I found myself in a financial bind with the new car payment, rent and raising two children on a single income. Turns out my trophy was more of a bad decision, a burden on my already tight finances. The days were becoming stressful, yet I was reading more scripture and trying to rely on God’s faithfulness. The more difficult life became, the more I delve into my bible, trying to find words from God that would give me hope and strength. That’s when the book of Ecclesiastes came to my heart. The story of a king who had everything he could ever want (money, women, power and every pleasure known to man), yet he had an unexplainable void in his life. Two days after I read this book, I left my evening shift at work to find someone had slammed into my brand new car and drove away. They didn’t leave a note, just a huge dent on the side of my car. I filed a police report and went home sobbing. My prayers to God that evening were prayers of frustration and anger. The next day I called the insurance company to report the hit-and-run. They sent out a claims advisor to do an appraisal on the repair. When all the paperwork was done, he said that the amount insurance would pay me was $1300. The damage to my vehicle was $1800 but I had a $500 deductible! I couldn’t even afford to pay my rent, how was I going to come up with the money to get my car fixed. With a subtle voice, God reminded me of the book of Ecclesiastes – a king searching for fulfillment in worldly things and never being satisfied. Then he showed me how I had allowed my car to become more important to me that it should have been – my image, my material things. Three days later, I received the $1300 check from insurance. It was then that I realized God had turned a bad situation into a blessing in my life. When I didn’t have enough money to pay my bills, he provided. With the check, I was able to pay my rent, pay my utilities AND buy groceries for my children!! God doesn’t answer prayers the way we always want Him too, but he DOES answer prayers! When I received that check, I thought about the king again. How he chased after all those material things and was never satisfied. I became satisfied in God’s amazing wisdom and plan for my life. The hit-and-run was over seven years ago. Since then, I’ve had plenty of financial opportunity to get the dent fixed, but chose not to. Every time I walk towards my car and see the dent, I am reminded of how faithful God is, how he took care of me when I couldn’t do it myself, how he turned a bad situation into a blessing. What are some interesting and surprising ways God has worked in your life? Please comment below, I would love to hear some of your stories. When I started writing this post, I searched my computer for those spectacular moments in photos, that perfect father/daughter memory that I could share with you. To my broken hearted surprise, I didn’t have a single photo on my computer of the both of us (and I am traveling abroad so all my hard copy photos are 4,000 miles away). A few tears streamed down my face, regret, then feeling like I was a terrible daughter..
Isn’t it funny how guilt sneaks up on us like that? I was already feeling emotional from my earlier visit to Walmart, passing the Father’s Day card section and the solemn reminder that my dad is no longer with us. It’s been ten years but it still feels like yesterday that he left this earth. I miss him so much! 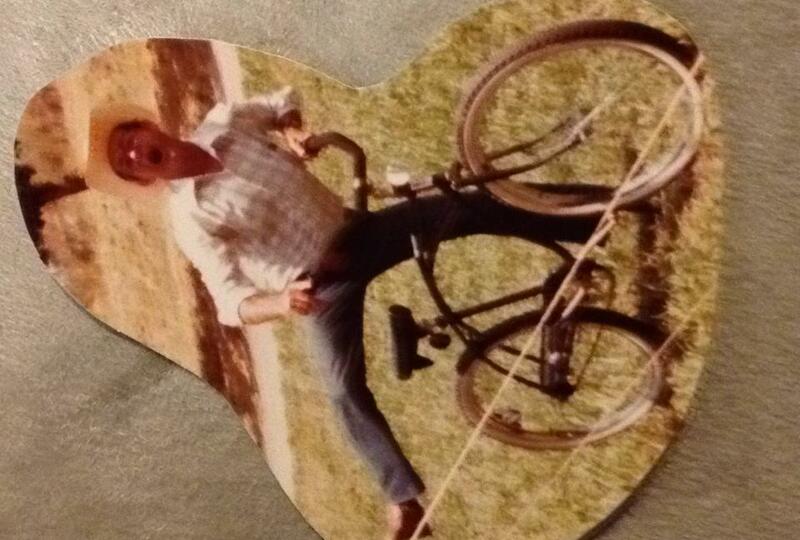 So instead of starting this story out with words, I want to share a little about my dad through photos…..
My dad – the daredevil… and his quirky sense of humor. 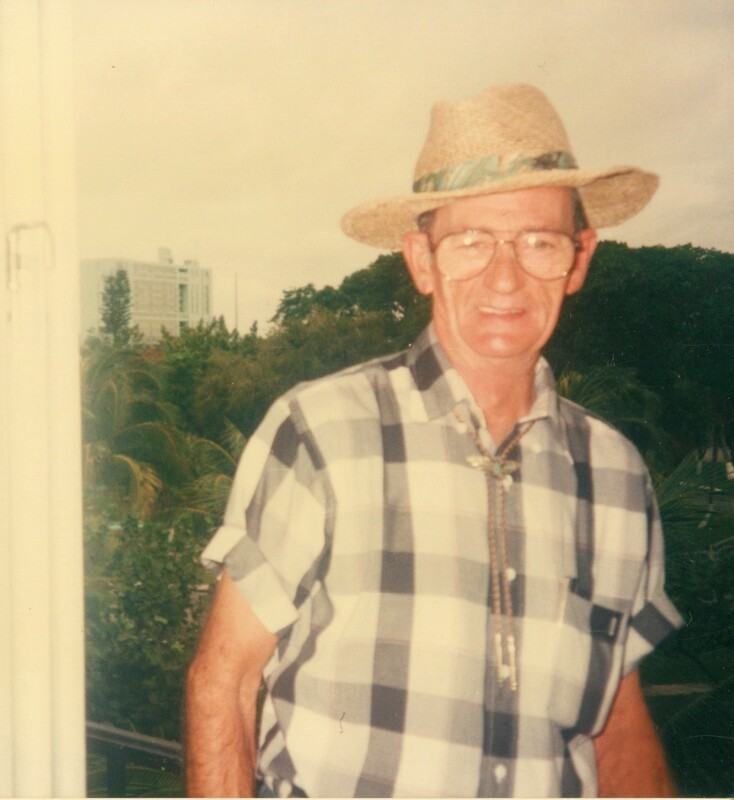 If I close my eyes I can still hear his laugh and his slow southern drawl. 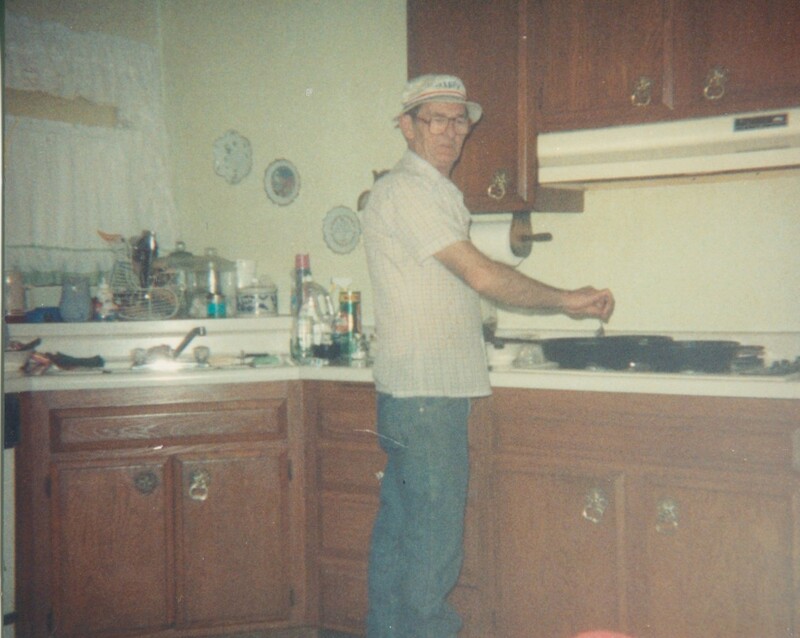 My dad, the chef….. Oh the many memories this photo brings… The funny fisherman’s hat! 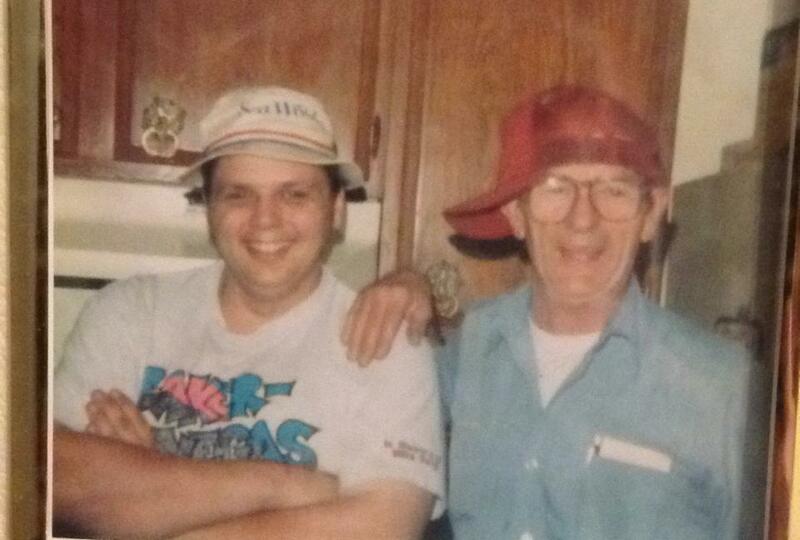 Everyone who knew my dad, knew that hat.. The iron skillet (I remember him teaching me how to “season” iron and to this day, my favorite thing to cook with is iron). That spot where he is standing – oh all the pots of stew we cooked. My dad the farmer. From a the tiny town of Waynesboro to the city …. didn’t matter where he lived, he had a garden. 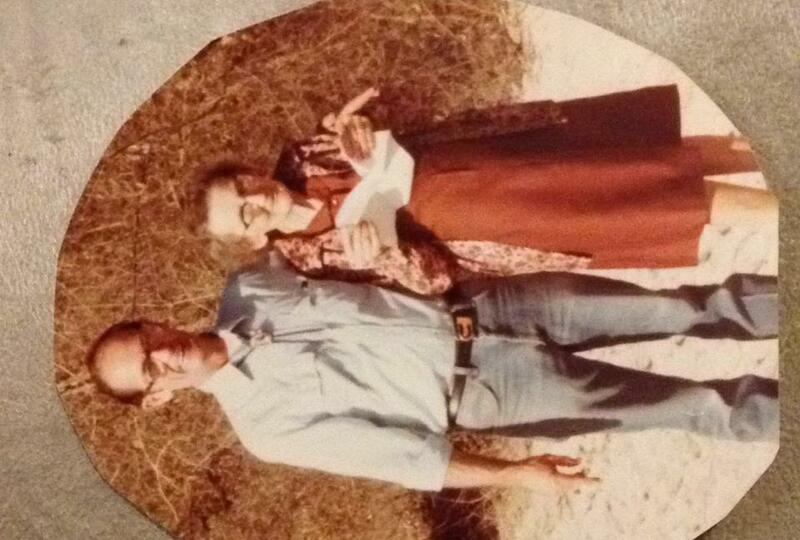 From dad, I inherited a love for growing fresh veggies and sharing them with the people I love!. And my favorite photo of all!! My dad Pawpaw….My son looking at him with the same admiration that I have for him. The memory of sitting in front of the fireplace building a giant fire. Those were the BEST moment! 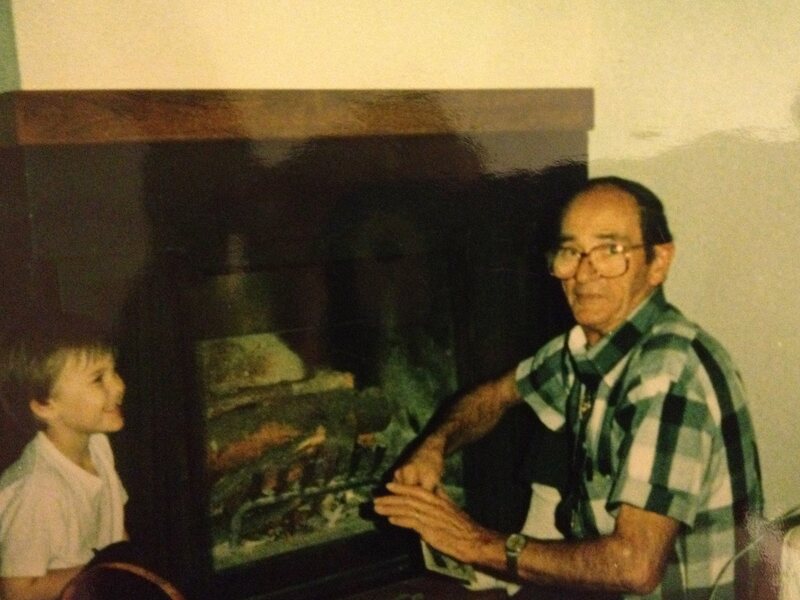 I think I would give my left arm to hear your laugh one more time, to tell you I love you one more time. So many things remind me of you – random little things. When I see a crow. I remember the time you brought home a box of baby crows because you had just chopped down a tree and their mama flew away. They were so little and cute. When ever a crow crosses my path it takes me back to that day, that cardboard box full of baby birds. I always stop and think how excited we were when you got home. When I went for a walk to clear the tears and refresh my thoughts, this crow came across my path. And as the wind blew against my skin, I felt as though you were sending me hugs from heaven. When I see wild rabbits running through the neighborhood, I remember the day you brought home that cute bunny we named “Cinnamon”. You said the pet store was going to feed her to a snake and you were saving her. How many bunnies did you end up bringing home that summer? ……. So many that we had to donate them to the Knott’s Berry Farm Zoo. When I look at my neighbor’s fruit trees I think of all the trees you had. The lemon tree, olive tree, and apple tree. I still eat raw lemons (but they are never as sweet as the ones you grew) and I still love apple butter that mom used to make from the bags and bags of apples you would harvested. When I see a pruned tree that looks like a tiny little stump sticking out of the ground, I chuckle and think of you. I always wondered why you cut SO much off the trees but they always grew back so beautiful. I imagine heaven has rows and rows of beautifully groomed trees, overflowing gardens of fresh fruits and vegetables, hundreds of bunnies bouncing around on open grassy fields. You’re one of the angels keeping heaven beautiful. Daddy, you took up a space in my heart that no one could ever fill. It has your memories, your laughter, your smile. It’s the place where I can go and be a little girl again, feeling safe, feeling loved, feeling like God gave me the most special man in the world. I imagine the day we will get to meet again in heaven and how I will HUG you so tight. Thank you Kayla!! For the terrific memories and photos you shared with me!! 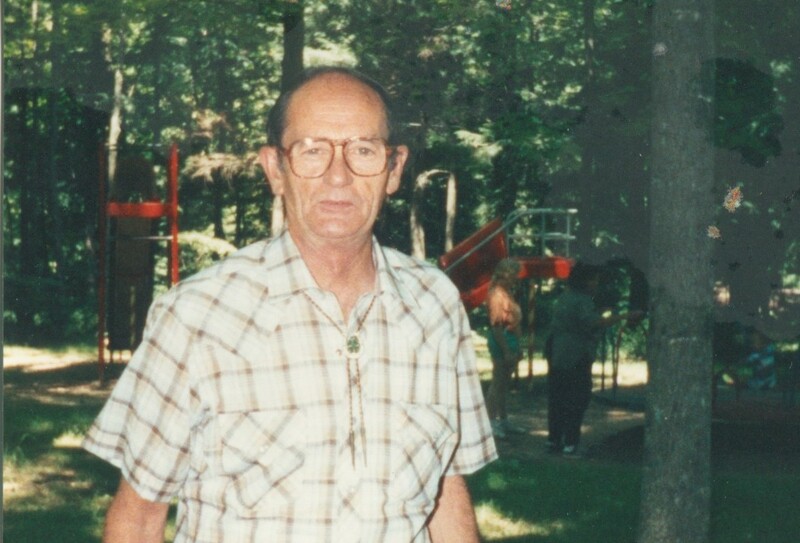 Today I started a Tribute to my dad (who is now passed) for Father’s Day. I thought about his voice, his laugh and how much I would give to hear him just ONE more time. To look into his eyes while I told him how much I loved him. Then it dawned on me ………. How many people do I have in my life right now, alive and ready to hear those beautiful words? 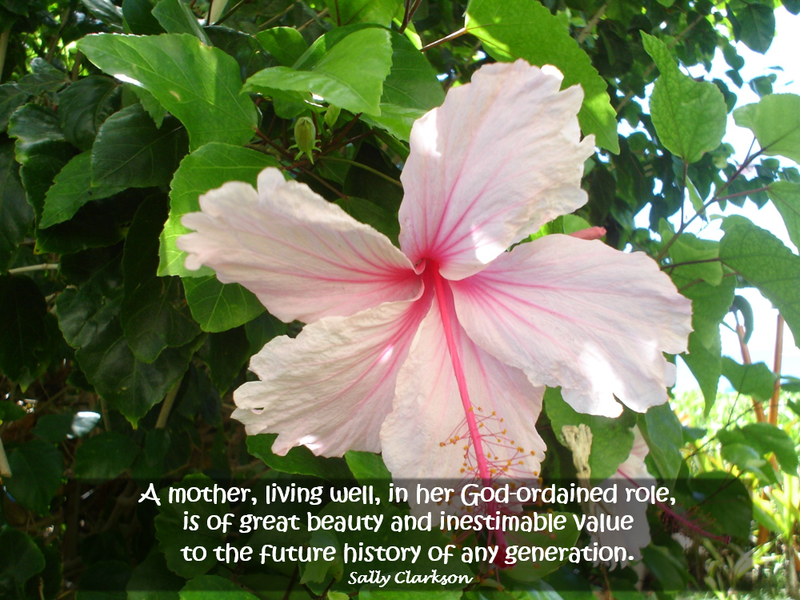 It brought tears to my eyes as I imagined my mother and all the words I would say in her tribute. Words I wasn’t sure I had ever spoken to her. With that, I decided to do something unconventional for this week and do a Mother’s Tribute. 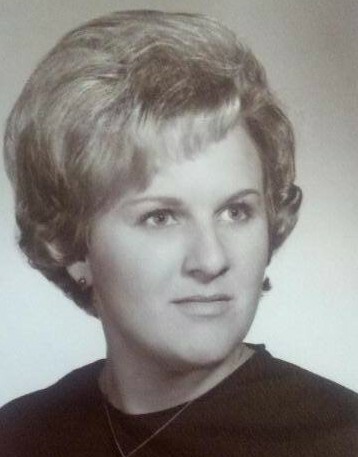 I think back to what life must have been like for you, a young-single-pregnant woman in the 60’s. Pressure from society, judgment from random people (how the world is so different today)…… How you were going to give me up for adoption, to a family that would be “Whole” with a mother and a father, to a family that might have more stability, to a family that could give me a better life. Oh the pressure you must have been under! Feeling life grow inside you, those little baby kicks, the heartbeat. Falling in love with this tiny person you’ve never met. The dread of saying good-bye, then spending a life time wondering “what ever happened to my baby”. How brave you were to take a stand and follow your heart – to keep me. Knowing people would judge and criticize you. Knowing that life would sometimes be a struggle. You made the right choice Mom……..
We struggled for many things (sometimes it was for food and sometimes a place to live) and I know there were probably hundreds of times when you felt you made the wrong choice in keeping me. The guilt of taking me from the life I “could” have lived. But God had a plan!! I want you to know that I wouldn’t change ANY of my life with you. When I think about the struggles we faced during my childhood, I think about how resilient I am today, how strong I am, how compassionate I am. Every moment we shared together left a mark on my heart, my soul, my life. Today, I am the woman God created me to be, because you made a choice. 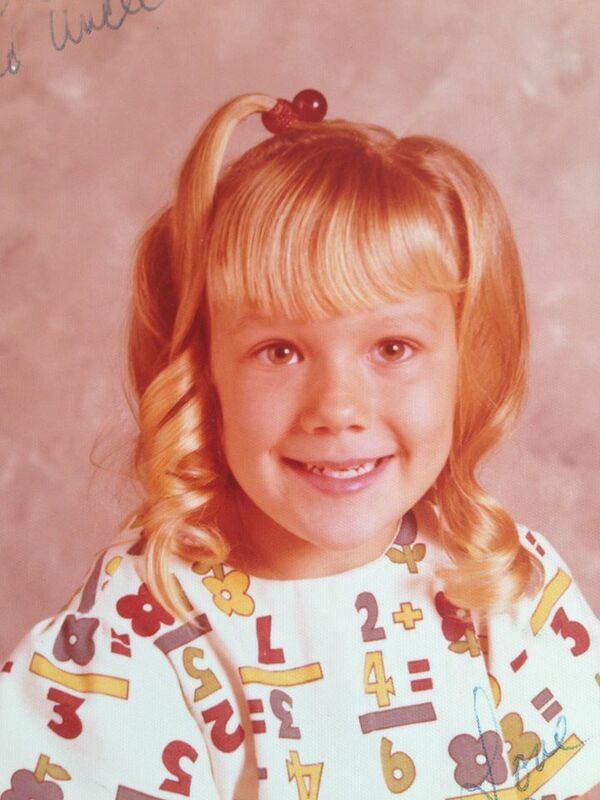 When I look at childhood photos, I look at all the cute dresses you stitched with your loving hand because we couldn’t afford to buy new stuff. You taught me that people can be givers even when there is nothing to give (because you can always give your time, yourself, your love). 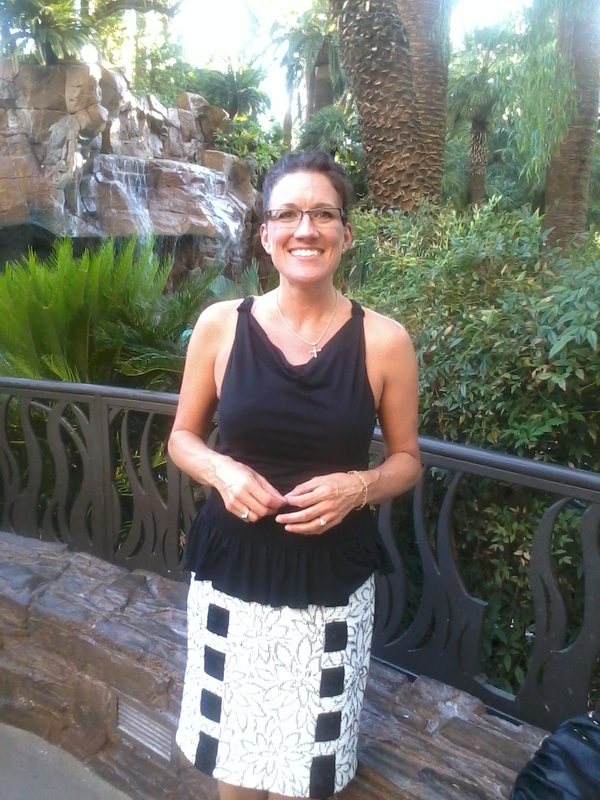 I LOVED this dress – And my hair!!! When I smell a home filled with the aroma of homemade bread, I think of the endless loaves you made, and I wonder how come my bread never smells as good. When I eat bread & butter pickles or apple butter, I remember all the canning you used to do when dad brought home bags and bags of fresh food. You made the BEST apple butter!!! Because of you, I love spending time in the kitchen, being creative and using up all the left overs in my frig. I have made some of the most awesome casseroles (out of the most random things)! Because we struggled with money, I am thrifty and creative. My friends tell me how impressed they are at my ability to turn nothing into something. I recycle and up-cycle. I don’t let anything go to waste. My footprint on this beautiful earth is minimal. You taught me that! Because I saw you cry when I was a little girl, I have compassion. I want to fix people, love people, help people. My life’s work caring for seniors was born out of experiences from my childhood. In 20 years of loving seniors, can you imagine how many lives I’ve touched? God put me through the struggles with you so that He could create in me a heart to serve. Because we moved around a lot, I am resilient. I can go anywhere in this world and find my place, find a church, find a way to make it feel like home. No matter where I am in life, that is where I am supposed to be. I don’t dwell on where I “used to be” or where I “think I should be”. I am content where ever God places me. So ………. if ever you feel guilt for anything you’ve done as a parent, please remember this. I LOVE the person God has created in me and I wouldn’t be “me” if I had not been with YOU. Remember that time when I was a teen and I slapped you because I was so angry, or that time when I ran away from home for a week and you didn’t know where I was? How about the time I smoked pot for the first time or told you that I hated you? My heart breaks for those moments, those stupid, stupid moments!!! I fear when you are no longer on this earth, those memories will come and haunt me. They will play in my head over and over and I will regret not telling you how sorry I was for hurting you. I will think about all the things I wish I would have ever said to you. Those are the things I will wish I would have spoken to her – those are the things I need to say now! While I still have a chance, while she still has breath, while I can still call her on the phone and listen to her voice (her lovely voice). Who are the people in your life that need to hear how much you love them, how much you appreciate their presence in your life?